On my journey to a completely cruelty-free lifestyle, I’ve tried lots of dental care options – but the Jason Powersmile range has definitely impressed me the most! JASON is a natural, cruelty-free brand that features good quality ingredients, while still being affordable and accessible! When making the transition to natural products in your home, traditional toothpaste can be difficult to part with. The first time I tried natural dental care, I was using baking soda and water on my tooth brush. Then I moved up to a mixture bentonite clay with mint essential oil. These methods can work, and are very easy on the wallet, but I always craved something more like store-bought. I grew used to the full, lingering minty flavour and smooth texture. And that’s when I set myself on a the task of finding the “you won’t notice the difference” all-natural toothpaste. I’ve tried several brands since then, and I’ve strayed back to the traditional products as well (naughty me) but now I’ve discovered my favourite range and have found myself repurchasing it time & time again! 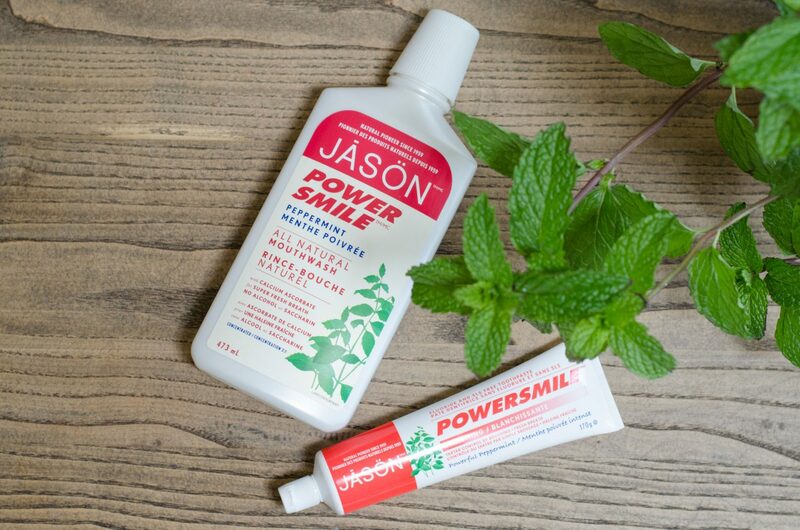 I have used 3-4 tubes of Jason Powersmile Toothpaste, and I’m addicted to the minty-fresh flavour and smooth texture! This toothpaste even suds up just like other non-cruelty free brands do! And that’s the biggest difference to me. I’ve yet to find a natural toothpaste that functions near-identically to the other brands I grew up using. This toothpaste is a whitening formula as well, without causing sensitivity at all. I have not noticed it to whiten my teeth exactly, but it has maintained the white of my teeth, even though I am an avid coffee & red wine drinker! I picked up the mouthwash about a month ago after using the toothpaste over and over. Again, this product is comparable to other alternatives I’ve tried! This formula is 2x concentrated – so yay for less packaging! You can choose how strong you’d like it to be, I personally tend to dilute the formula with equal parts water. It still offers a fresh flavour and clean feeling even when diluted! 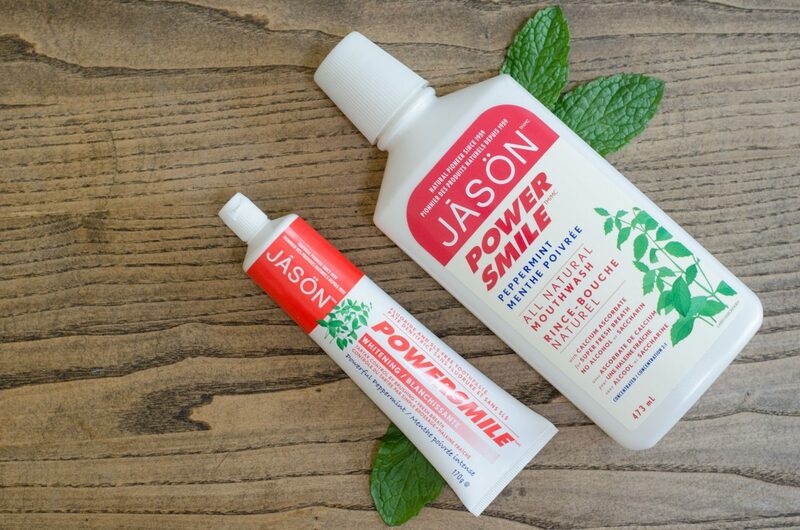 Jason Powersmile offers a healthy and cruelty-free alternative to traditional toothpaste and mouthwash without compromising in performance! 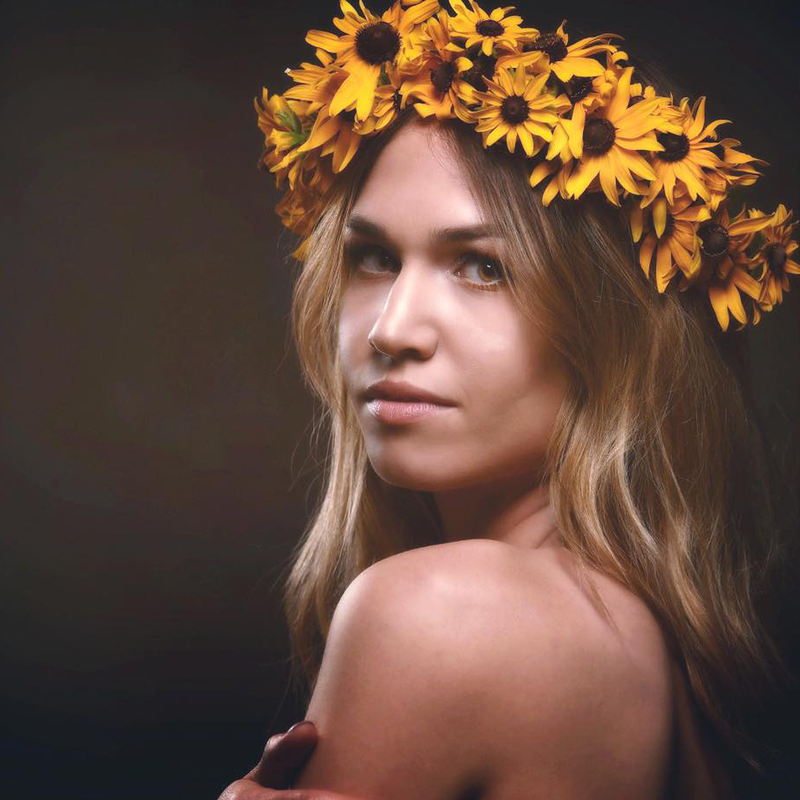 No nasty chemicals, animal ingredients or excessive packaging! This range really is the healthy alternative for your teeth! One of the hardest part of making the switch to natural and cruelty-free products is accessibility. Thankfully, this line is very accessible! I have spotted this product multiple times at my nearby Winners. Another favourite place to shop for Jason Powersmile Toothpaste ($6.49) and Jason Powersmile Mouthwash ($10.79) is online through well.ca (I chatted a bit more about the site here). I’ve also found Jason products available at retailers like Loblaws and Zehr’s Markets – just go to the organic/health section! However, lots of independently owned natural and health-food stores like my local fave, National Nutrition, also carry the line. Once you start looking for these alternatives, you really will start seeing these brands and products everywhere! Have you tried these products? What are your thoughts on them?